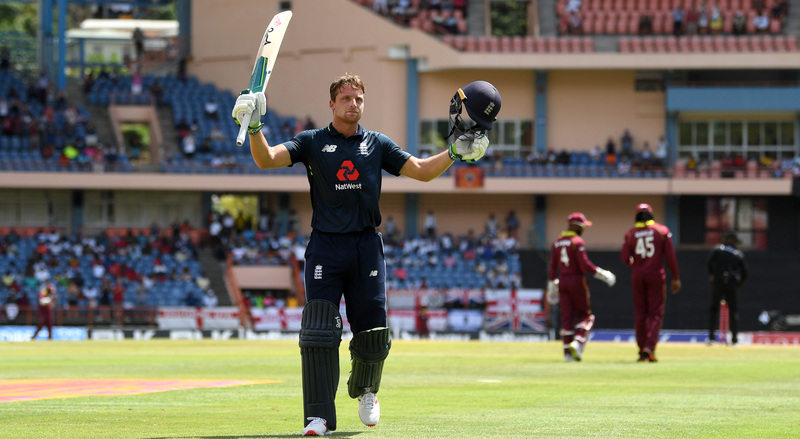 Jos Buttler, the England wicket-keeper batsman, has stressed on the importance of playing positive cricket if a team has to go far in the ICC Men’s Cricket World Cup 2019. Placed No.1 on the MRF Tyres ICC ODI Team Rankings, England are favourites to win the tournament, which starts on 30 May, at home. Since the last World Cup, when they were knocked out in the group stage, they’ve turned around their style under captain Eoin Morgan, and have set a string of batting records by going big and hard right from the start. Sometimes you hear people talking about going to another level. Why can’t you just stay at peak level? Buttler’s good form has coincided with the team’s rise and has set them up nicely for the World Cup. It began with a string of half-centuries in the Indian Premier League in 2018, where he was promoted to open, and subsequently led to a Test call-up. In the past 12 months, Buttler has averaged 40.78 in Test cricket and 63.44 in ODIs. Now, as he gets ready for another edition of the IPL with Rajasthan Royals, he’s not worried about “peaking” too early before the World Cup. “The idea of peaking isn’t really an idea that sits naturally in my mindset,” he said. “Sometimes, you hear people talking about going to another level. Why can’t you just stay at peak level?